I am so excited for today's blog post because finally I will be covering an investment topic. All of us want to get rich one day and a step you can take to secure a better finances tomorrow is investing today. But how can you invest with just 5,000 pesos? I chose the magic 5,000 pesos for a couple of reason. One, it is the easiest amount of money you can save. 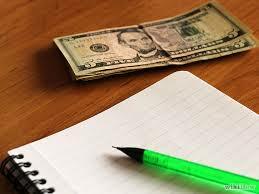 Two, a lot of investment vehicle offers this initial money option perfect for beginners. In today's post I will be revealing the investments you can make with 5,000pesos. But first, what type of investor are you? I think it is important to assess the type of investor you are before any investments. Determining this will guide you on the kind of investments you'll make that will maximize your potential income. There are basically three types of investors namely those who are conservative, balanced and dynamic. Conservatives take low risk when in comes to investing their money. They love to invest on a portfolio that provides steady income with low risk. They get easily afraid of losing money and so they give a very firm financial decision at all times. A good investment option for persons who are conservative will be a time deposit, special savings account and some government securities. Balanced people are on the medium risk tolerance. They like capital appreciation but knows it will take time. They also have enough money on their special savings account or emergency fund that they don't need return of investment in near future. A good investment you can make with your 5,000 pesos will be trying out direct stock market but investing only on blue chips stocks. These stocks are from long established companies that will remain in 10-20 years and has proven track record. Dynamic People are described as the type who take the highest risk when it comes to their investment choices. They love focusing their wealth on emerging markets like those who manage small and young companies. A good investment is stock market but doing the whole trading process. How to Determine What Kind of Investor Are You? Below are some quick questions you can ask your self to successfully determine what kind of investor you are. People who are young will have a lot of room for risks in the investment world while older ones will surely need to be careful in where they invest their money. Up to how long are you willing to wait for your investments to grow? Some can wait up to 5 years, others 10 years while there are others who can wait until retirement to harvest their investments. What level of risk are you willing to risk? Are you the type who's on always on the safe zone or someone who love to take some risk and do rare financial decision? Now How Far Will Your 5,000 pesos Go In Terms of Investing? READER QUESTION: How Does FAMI Work? BPI Unit Investment Trust Funds consisting of BPI Investment Funds and Odyssey Funds. More detailed blog post soon. PNB Unit Investment Trust Fund. Click HERE for my review. Security Bank Unit Investment Trust Fund. Click HERE for my review. I also like to add the BDO Unit Investment Trust Fund but starting an account requires 10,000 pesos instead. Click HERE for my review. If you like a hands-on experience on how stock market works then try investing directly without any private company or bank managing your money. 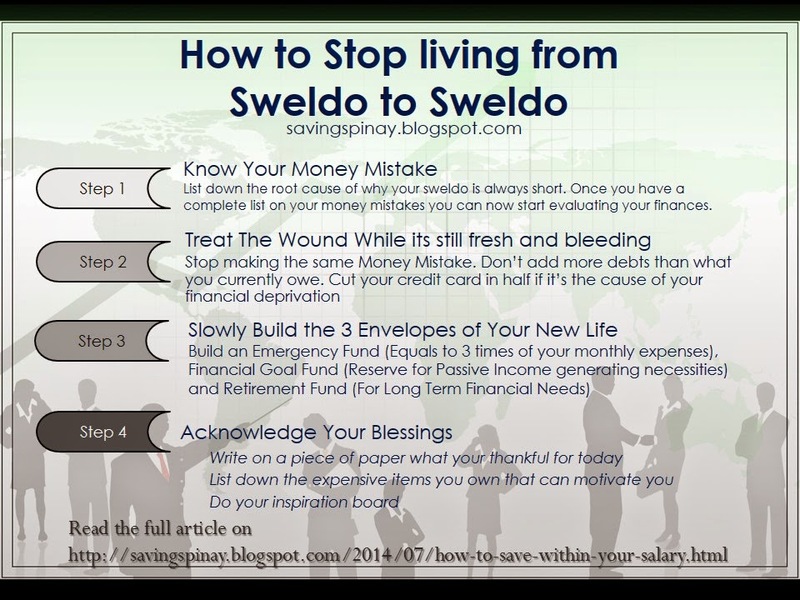 The government encourage every Pinoy to invest so the initial money required is just 5,000 pesos. COL Financial, which is the most famous online platform available. BPI Trade which has no minimum investment amount needed but of course you need to fund your account in order to start trading. My parents started investing on a St. Peter Life Plan by courage. I am so proud that they have finished paying for their accounts and now investing on a memorial lot. All of us in the family are now investing in a St. Peter Life Plan. READ: Is St. Peter Life Plan a Good Investment. A health insurance is an investment you can make for yourself, your family and your future family. The amount you'll pay depends on your age and profile but nowadays company have the best options to suit your budget. If you have an HMO under your company then you are blessed however if you want a better health care or you want one for your family then you can start investing with 5,000 pesos. 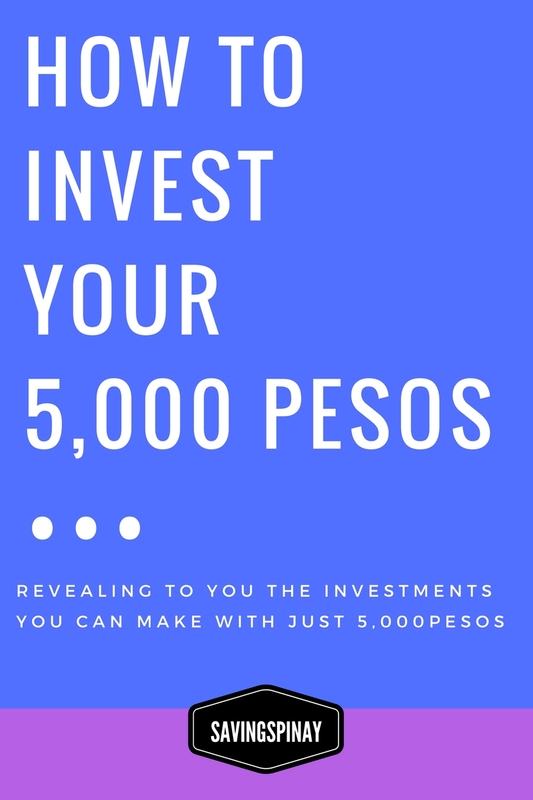 5,000 pesos is everything you need to start your journey in the investment world. Make sure that in everything you do you have full research and knowledge on the risks. There's no easy and quick way to become rich not until you take action and try for yourself. It will always be nice to start as early as possible when it comes to investing. Are you ready to invest your 5,000pesos?